IT HAS been seven long years since an Australian man was in the world top 10. But the boss of tennis in this country can see three of them on the horizon. Bernard Tomic, the world No.51, you know about. 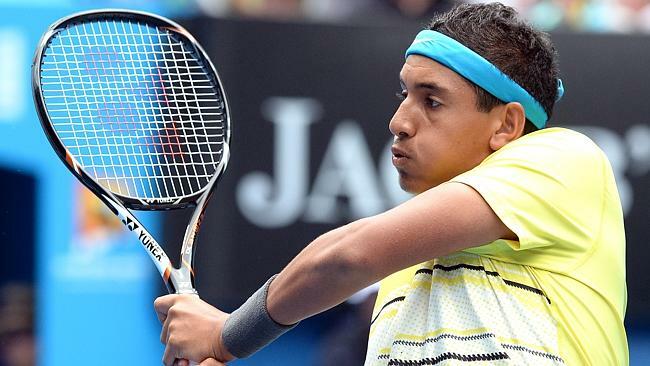 Nick Kyrgios, the 18-year-old Victorian who won the Australian Open juniors last summer and has since turned heads at the French and US Opens, has blown his cover through performances this year which have him ranked No.182. 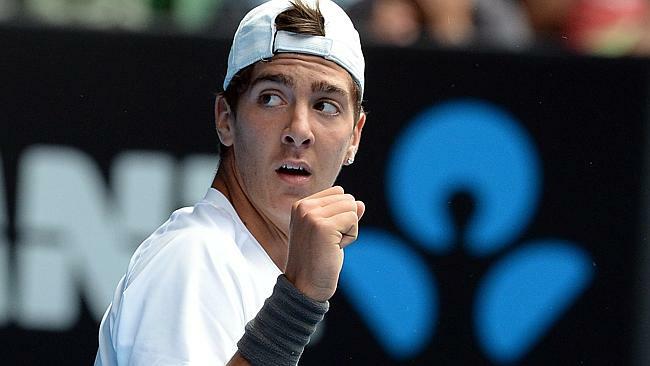 Thanasi Kokkinakis, a 17-year-old from Adelaide, was runner-up of the Australian and US Open juniors in a year in which he needed time off due to stress fractures of his back. Kyrgios has been given a wildcard into the main draw of the Brisbane International, which starts on December 29, and with the urgency of youth says he relishes the idea of a draw to play one of his heroes, Roger Federer. It was June 2006 when Lleyton Hewitt last checked out of the top 10. His Newcombe Medal win this month as the year’s most outstanding player, at the age of 32, has been used by many as the latest stick to bash Australian tennis over the head for its ability to generate top players. Craig Tiley, the Tennis Australia chief executive who was TA’s director of tennis prior to his promotion in October, knows the statistics say only one player, Sam Stosur, is in the men’s or women’s top 50. But he insists programs for young professionals are making progress, with changes made over the past five years. 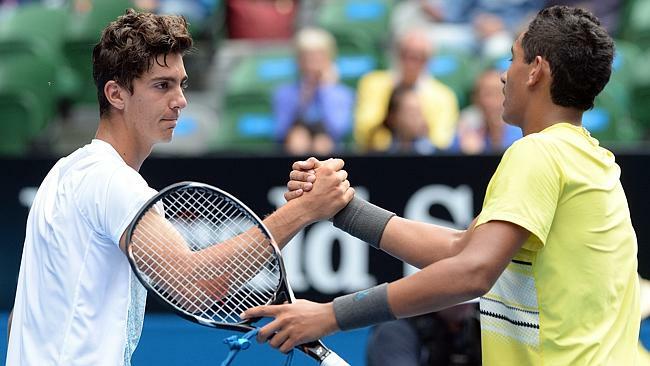 “Kyrgios and Kokkinakis are the two best players under the age of 20 in the world,” Tiley said. “I say that for a number of reasons, including the respect I have for the comments of people like Pat Rafter, John McEnroe, Brad Gilbert and Paul Annacone about them. “Nick’s coach Simon Rea has done a magnificent job with him. He has jumped like 600 places this year. “They are both tall, very athletic, love playing tennis, want to compete and have each other to compete against. There are other Australian players who are pushing them as well. 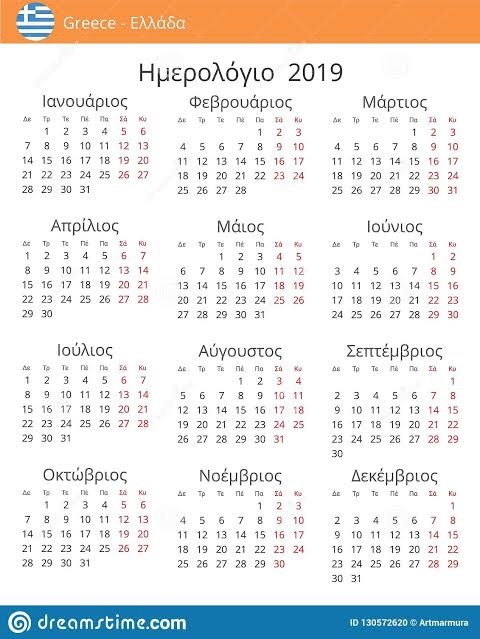 “Everyone is in place. They may make big jumps early. 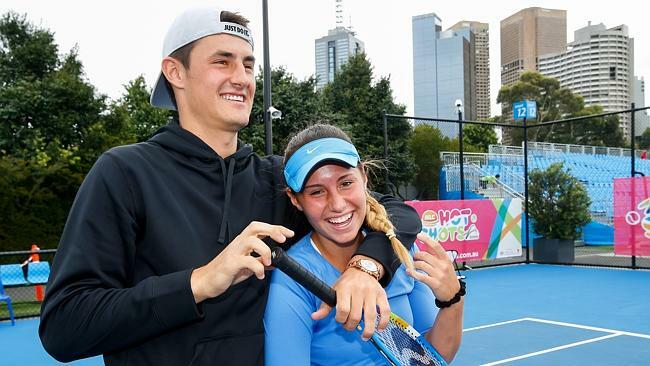 While Australia has a history of producing Grand Slam winners and runners-up in juniors, supporting those teenagers through to ATP Tour careers has been much more difficult. That battle has led to several changes in elite squad programs over the past 15 years. Tomic, at No.51, is the highest ranked male player in the world under the age of 22. While Spain, the nation with the most depth in the past decade, has 14 men in the top 100, only one is under the age of 25. The 190cm Kyrgios, ranked No.1 in world juniors during the year, possesses the requisite weapons of a big serve and big forehand. Of Greek-Malaysian extraction, he was more keen on basketball until settling finally on tennis at age 14. Kyrgios was a late withdrawal from this week’s Australian Open playoff series in Melbourne Park with an elbow injury, but it is not expected to prevent his Brisbane appearance. In his Davis Cup debut in Poland in September, Kyrgios teamed with Chris Guccione in a five-set doubles loss to Poland before he notched a first win in a dead fifth rubber when Pole Michal Przysiezny retired. “Talent wise, he’s up there. It’s fantastic,” Rafter said. Rafter said with Tomic to be joined by “Nick and Thanasi, the next three or four years, it’s going to be a really strong team”. A Challenger title win in Sydney in March and his French Open first round win over the crafty Radek Stepanek won the attention of top coach Gilbert. “Any time a 17-year-old wins a challenger you take notice. This young Aussie has a big game and he showed it,” Gilbert tweeted after the Sydney win. Tiley said statistically it took three times as many years for a top-100 male player to reach that milestone than it required 10 years ago, and the average tenure was double what it was then. “We’ve realised it does take a long time and you cannot let politics get caught up in the decision-making, which has to be long term,” Tiley said.